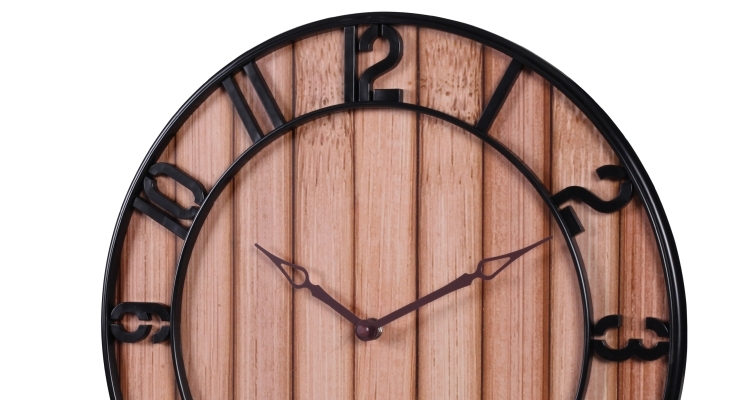 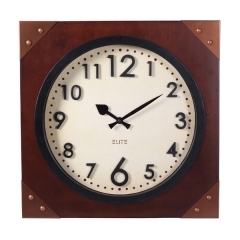 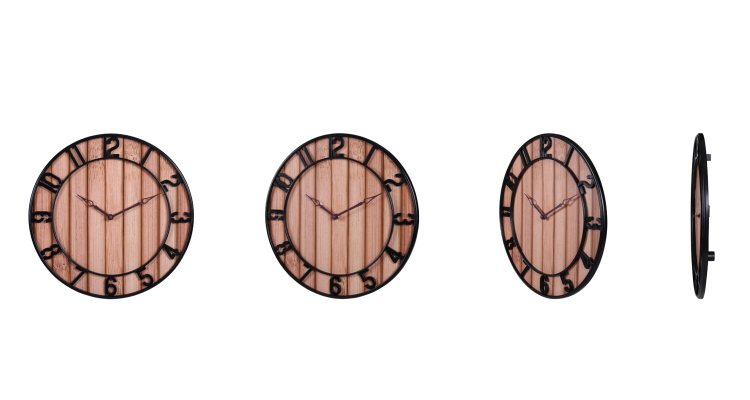 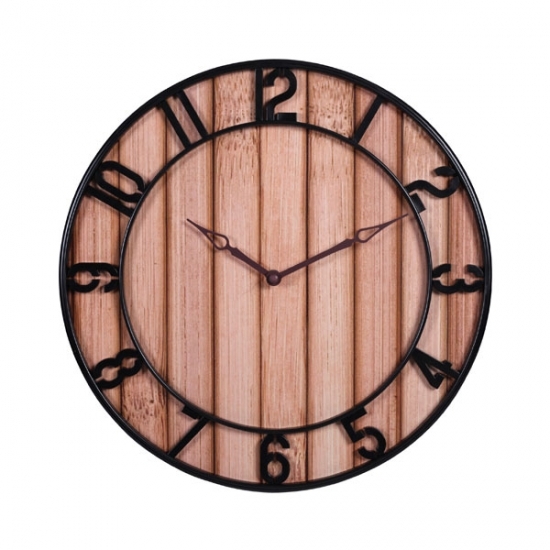 Decked out with large numbers and fitted with strong metal hands, our battery-operated plastic “wood look” modern wall clock prominently and dependably delivers accurate time. 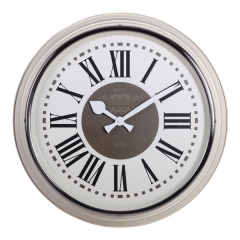 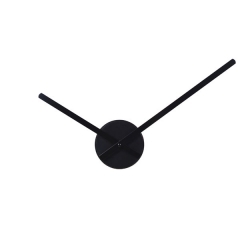 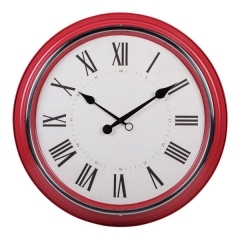 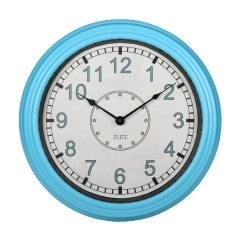 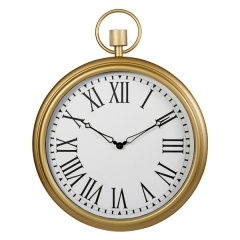 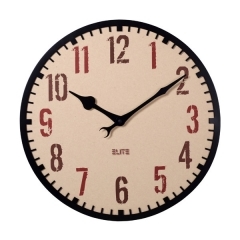 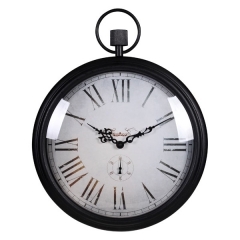 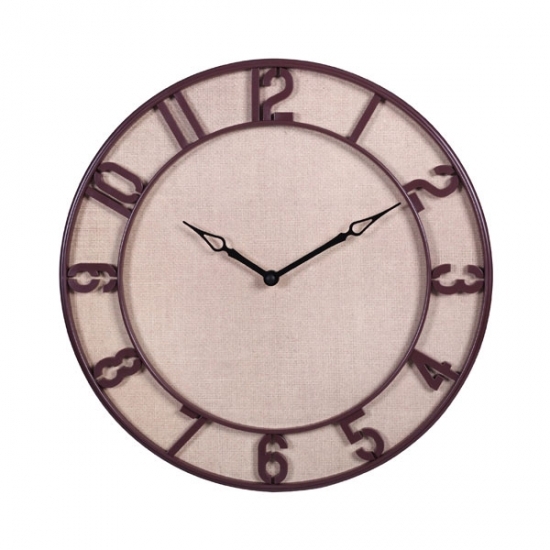 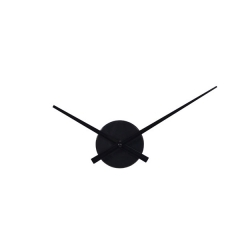 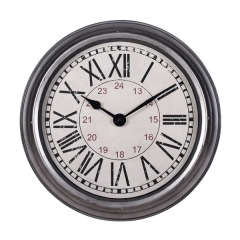 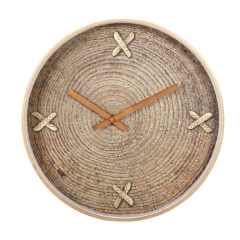 15" country style wall clock, 4.8 cm thick, a modern look clock. 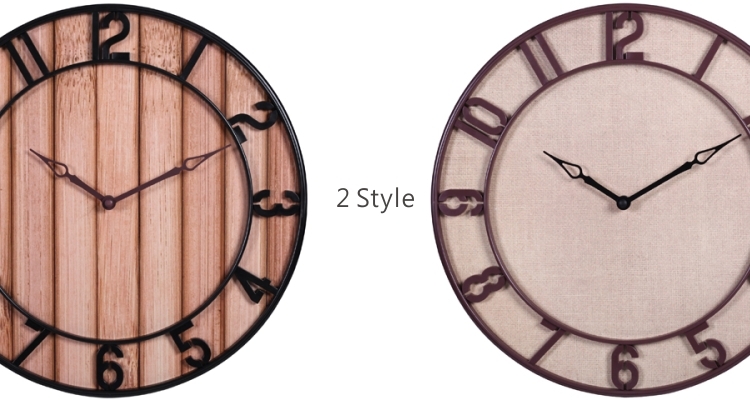 Black or brown color for different style interior decoration. 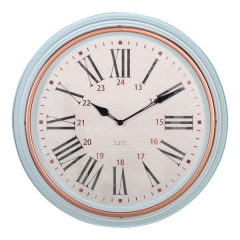 With stereoscopic numeral frame on the plastic case.